Infectious Diseases A-Z: What is rat lungworm? Angiostrongyliasis, also called "rat lungworm infection," is a disease that affects the central nervous system. A dozen cases of the infection have been confirmed in the continental U.S. from 2011 to 2017, according to the Centers for Disease Control and Prevention (CDC). 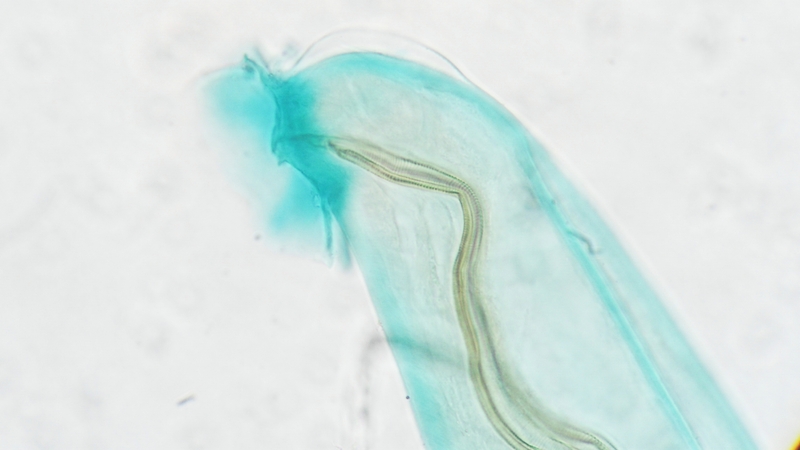 Dr. Bobbi Pritt, director of the Clinical Parasitology Laboratory at Mayo Clinic, answers questions about this parasitic worm. DR. PRITT: Rat lungworm is a parasitic worm called Angiostrongylus cantonensis that infects rats; snails; slugs; and certain crustaceans, such as shrimp. This potentially deadly parasite is called rat lungworm after the location that the worm is found in its natural host, the rat. The worm lives in the blood vessels of the rat’s lung, and the female worms produce offspring (larvae) that are then shed in the rat’s stool into the surrounding environment. From here, the larvae can infect snails and slugs, which serve as a second, or intermediate, host. 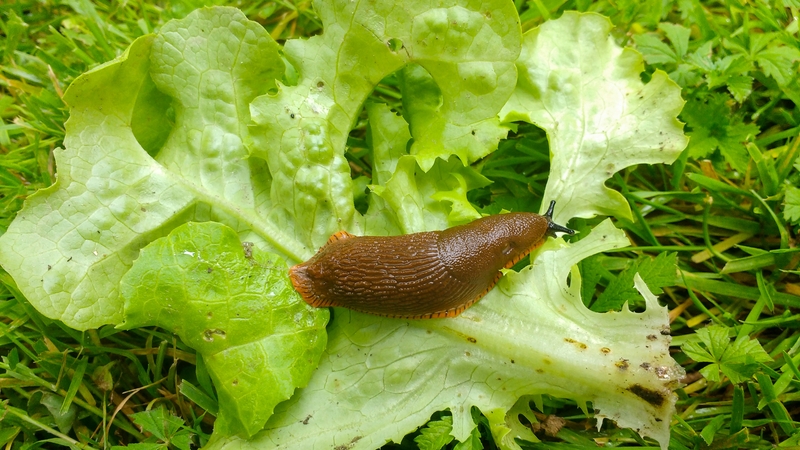 The larvae develop within the slugs and snails until they become infectious to other rats who eat these slugs and snails. How are people infected with rat lungworm? DR. PRITT: Humans are not natural hosts, but can acquire the parasite when eating infected slugs or snails, or even pieces of slugs and snails in raw produce. Humans also may be able to acquire an infection by eating uncooked, infected freshwater shrimp, land crabs, frogs, monitor lizards, and vegetables contaminated with slug or snail slime. The larvae are extremely small and cannot be seen with the naked eye. Therefore, people will not know if they have accidentally eaten the infectious larvae. How does a rat lungworm infection affect humans? DR. PRITT: Because humans are not natural hosts, the parasite cannot complete its natural lifecycle and tends to migrate to various places in the body – usually the brain, and less commonly, the lung. The presence of the worm in humans causes significant damage – both from direct damage caused by the worm’s movements and the response of the body’s immune system trying to fight off the worm. In the brain, the worm causes a disease called "eosinophilic meningitis," which is associated with severe headaches, neck stiffness, nausea, vomiting, seizure and weakness. Most patients fully recover, but some patients , particularly those infected with many worms, may die due to infection. Where is this parasite a concern? DR. PRITT: This parasite is potentially a concern anywhere that snails, slugs and rats are present. Most cases have been reported from Southeast Asia, Hawaii and the Pacific Basin, we know now that the infection is also in parts of Africa, Latin America and the Caribbean. How can people avoid contracting this infection? DR. PRITT: Homegrown vegetables and commercial produce are great, as long as they are thoroughly washed, and free of slugs and snails when eaten raw. People who live in areas where the rat lungworm are found, or are traveling to these areas, should be careful to avoid any potentially contaminated vegetables, and not eat raw or undercooked snails, slugs, freshwater shrimp, land crabs, frogs and monitor lizards. The CDC suggests removing snails, slugs and rats that are found near the home and garden to lessen the risk. As with all food preparation, thoroughly washing hands, utensils and cutting blocks is also important to prevent infection. Watch: Quick tips for washing fruits and vegetables. Journalists: Broadcast-quality video is in the downloads.